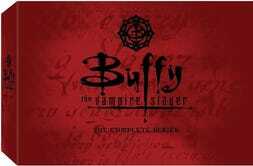 Amazon has the complete Buffy and Angel series on sale for $60 and $50. It's a pretty great deal but only good till the end of the day. If I had the extra cash I would buy both.